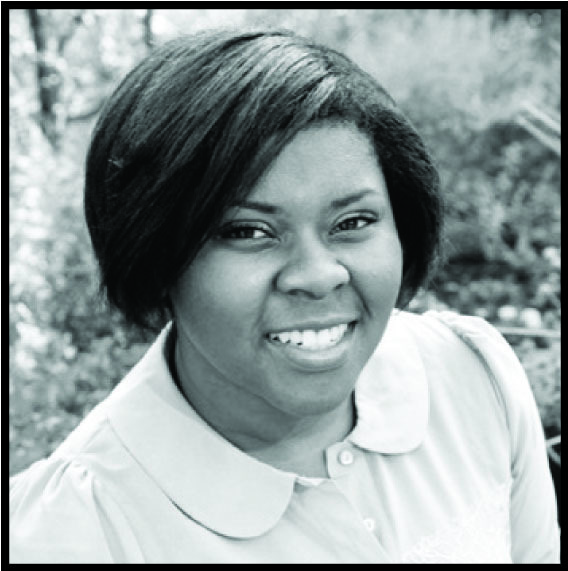 The National Association of Black Journalists (NABJ) is proud to announce that Marissa A. Evans, a senior at Marquette University, is the 2013 Student Journalist of the Year. Evans is one of several honorees who will be recognized this summer at NABJ’s 38th Annual Convention and Career Fair in Orlando. Evans is studying journalism with a minor in entrepreneurship and political science. She graduates in May and this summer she will be an intern at The Seattle Times as a Metro reporter. “A lot of young people aspire to be journalists and yet some of them aren’t clear about what it takes to excel in this craft. Marissa A. Evans is not one of those young people. A student multimedia journalist at Marquette University, Evans has devoted herself to studying the craft, undertaking internships and practicums to get real world experience, and to helping inspire others. Persistent and passionate, she has blossomed into a well-rounded storyteller who can work across platforms,” said NABJ Communications Chair Christopher Nelson. Evans is the beneficiary of a slew of internships and honors ranging from being a 2012 Chips Quinn Scholar to serving as the Metro reporting intern for The Washington Post. Other internships include working at The Milwaukee Journal Sentinel, The Star Tribune, and U-T San Diego. Evans’ mentors include but are not limited to Herbert and Mira Lowe, Benét Wilson, Duchesne Drew (Star Tribune) and Jim Nelson (Milwaukee Journal Sentinel). When she was notified that she would be recognized as the student journalist of the year Evans said that she was honored that an organization she loves chose her for this special honor. “I remember when President Lee called and I was truly stunned. I’m still at a loss for words actually. I’m humbled and blessed to know that NABJ, an organization I love and care about so much, has faith in me and the work I’ve been striving to do as a young journalist. I’m excited to continue serving the organization and hope to inspire the next generation of journalists coming behind me,” Evans said. Evans is the founder and President of her student NABJ chapter at Marquette University and is an alumnus of the Online News Association student newsroom and The New York Times Student Journalism Institute. She was also one of the “30 under 30” honorees in San Diego County in 2011. In her leisure time, Evans invests her talents into InHue magazine, her online publication which gives a minority voice to health reporting by concentrating on issues that impact people of color. In-Hue, which can be read at www.inhuemag.com, analyzes a range of topics from food tips to exercises to relationship advice. Boasting a diverse and talented staff, InHue is starting to pick up speed and online buzz as its readership increases daily. An advocacy group established in 1975 in Washington, D.C., NABJ is the largest organization for journalists of color in the nation, and provides career development as well as educational and other support to its members worldwide, visit our website at www.nabj.org.